With Christmas right around the corner, now is the perfect time to be buying gifts for family, friends, and significant others. As drones continue to become more and more popular, it shouldn’t be a surprise that these will be one of the hottest holiday gifts for anyone who is into photography and videography. 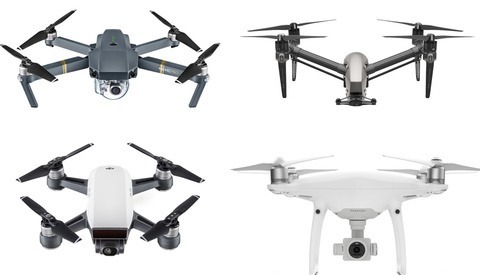 With DJI being the leader in the drone industry, there are several drones on the market to choose from, but which one will suit as the best gift? During this holiday season, DJI is offering some pretty good discounts on their products. With deals like this, it is pretty hard not to buy something. There are many different drones out there, all different in shape, size, and capability. 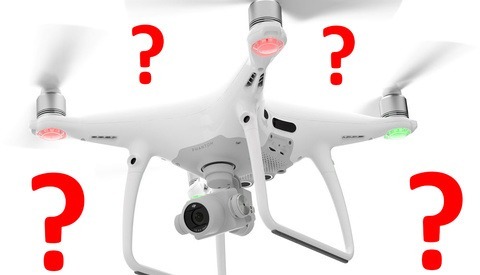 After flying DJI products for just over two years now, I don't think I could trust another drone company more than them, but if you feel there are better products out there, well hey, that's on you. I'd have to say I probably fly about 3 to 5 times a week and shoot as many different things as I possibly can. Droning has also become a way bigger part of my life than I had ever imagined it would. So with that being said, be careful buying a drone because it can be addicting. The Spark is the smallest and cheapest drone DJI currently makes. If you are a true beginner and looking to get any sort of experience with a drone, the Spark will not disappoint. At $499, the Spark is a small, compact, and ready-to-fly drone. It has a 12-megapixel camera that shoots in full 1080p with front-facing obstacle avoidance sensors and plenty of easy-to-use options like gesture control, quick shot, and active track. You can even fly this drone right from your smartphone, unless you want to go the extra mile and get the remote. From my own personal experience, this drone is a lot of fun to fly and you can’t beat the portability. I would definitely recommend it for anybody starting off with drones in general. The Mavic Pro is probably one of the most popular consumer drones DJI makes. 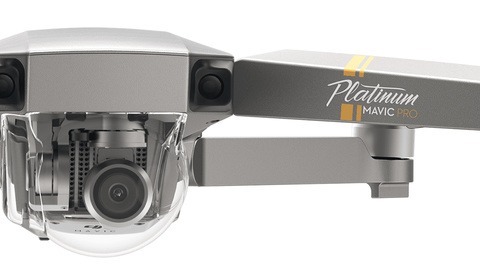 With pretty much the same features as their older Phantom 3 series and the ability to fold up, you really can’t go wrong with the Mavic. 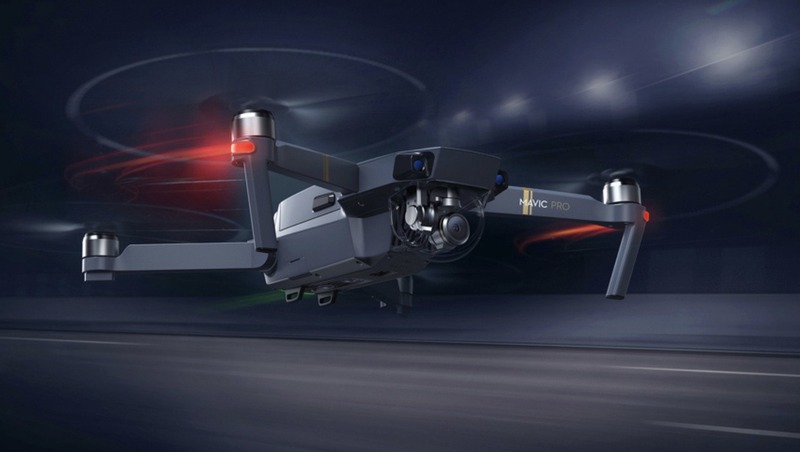 Starting at $999, the Mavic Pro puts out 12-megapixel images (raw) and has the capability of shooting in 4K up to 30fps. This drone has front and bottom sensors, a 3 mile (7 kilometer) transmission, and can fly for just over 25 minutes. If you are looking for a drone that will put a smile on anyone’s face for the holidays, this is the drone to get. I have a Mavic and an Inspire 2 myself but I really do find myself flying the Mavic a lot more than the Inspire 2 because of how portable and easy it is to fly. The Phantom 4 Series is certainly a level up from the other few drones listed above. This drone is bigger than both the Spark and Mavic, but with the bigger size comes bigger quality. If you are serious about photography and looking for a drone that puts out solid photos and video, this is the drone to get. Starting at $1,199, the Phantom 4 Advanced/Professional puts out 20-megapixel images (raw) and has the capability of shooting in 4K up to 60fps. This drone has sensors all over the place from the front and sides all the way to the bottom. With a 30 minute flight time and 3 mile (7 kilometer) transmission, this is the drone for anybody who is really into photography and videography. As a gift, it is important to consider who will be using the drone and what they will be using it for. DJI is mainly targeting people who are into photography as opposed to people who are into drone racing, but don’t let that fool you if you are into both. All of the products listed above use the same technology, have all the active track features and are compatible with DJI’s FPV headset. All in all, if you are looking for a reliable, well built, and trustworthy drone, you literally can not go wrong purchasing any of the drones listed above. Check out DJI's buying guide, enjoy the holidays, and shop right. Hows that rotary home phone working for you? Yeah, because our government would "never" do such a thing.../sarcasm off. I would buy a Mavik Pro 2, I thought it will be the case this year, but they decided to milk a bit more cows by giving an old one a new paint job:-) Maybe next year! Thought it was supposed to be quieter and have a longer battery life? Sounds like nice upgrades to me, so that's why I'm waiting for it. It’s like with new iPhones - they keep making them better improving processors and camera while everyone really cares about battery life. A quiet drone is what will make them even more popular!